Vitaliano Teti was born in Catanzaro. 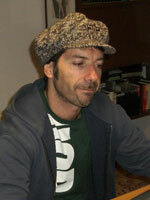 Lives and works in Ferrara in the field of electronic and digital videoediting and as director. For eleven years he teached at the Faculty of Letter and Philosophy of the University of Ferrara in the degree course in "Audiovisual Communication and Multimedia Technologist". Two major projects are made ​​with the Municipal Theatre of Ferrara in the field of video-dance and a very complex and arduous involved the processing of 3 dvd video painting opera "The Motezuma." Excellent product video art have recently been made ​​by his students as part of an experimental project called "Fast Video Art". From 7 years is the art director of the international video art festival "The Scientist" held each year in October in Ferrara, an historic and exemplary city for Electronic Arts. 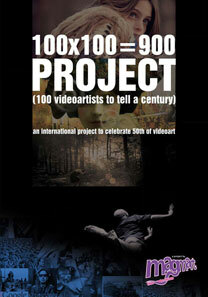 As indipendant videoart Curator he screened his selection at the Eight eleven multimedia party in Los Angeles, the Loop festival in Barcelona, ​​the Ship Spacial in Seville, at the Aferro Gallery in New York (USA), Visual Container and Arte Accessibile in Milan and other Italian cities. VII Edition International VideoArt Festival "The Scientist 2013"